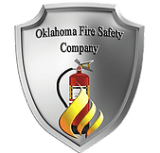 Welcome to Oklahoma Fire & Safety Co.
Oklahoma Fire & Safety is a locally owned and operated Fire Protection Service company serving the Oklahoma City metropolitan and surrounding areas. For over 16 years we have specialized in helping businesses meet code requirements and stay in compliance with OSHA, N.F.P.A., and State requirements. We offer fire extinguisher inspections, fire extinguisher recharges, and other fire extinguisher services. Our technicians are licensed by the State of Oklahoma and certified by the State Fire Marshall. Looking to Purchase Fire Extingusishers or Extinguisher products? CALL TODAY TO SET UP AN INSPECTION FOR YOUR BUSINESS! We offer service, installation and maintenance on all types, makes and models of Fire Extinguishers and Hood Suppression Systems If you have any questions about what your company needs to pass its annual code compliance inspection give us a call at 405-632-4412 or send an e-mail to [email protected] and one of our certified technicians will be glad to help answer them for you. AVAILABLE TO ALL OF OUR CUSTOMERS NOW! We have a new software system in place where we will keep records of when your company is due for its annual or semi-annual inspection so you never have to worry again about not being in code compliance. Another service we are pleased to offer is a Mobile Fire Extinguisher Service Truck. In most cases we can recharge and service your properties extinguishers on site. This means they do not have to leave the property. If we do need to bring them to our shop for hydro-testing or further repair the turnaround is 24 hrs. We will leave replacements for you while they are being serviced so you and your property are protected.